Freshman Ashleigh Mallett was recently chosen as "Player of the Week" for good reason. 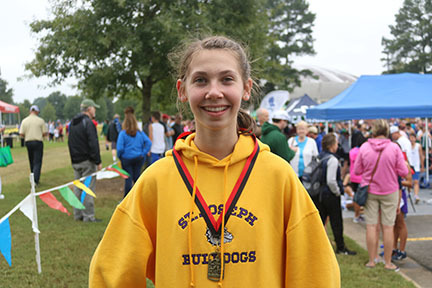 Against close to 300 other girls in her division, she finished 8th Overall in the 2-mile run at the Cyclone Cross Country Invitational Meet in Russellville on September 29. She was clocked at a time of 13:35.